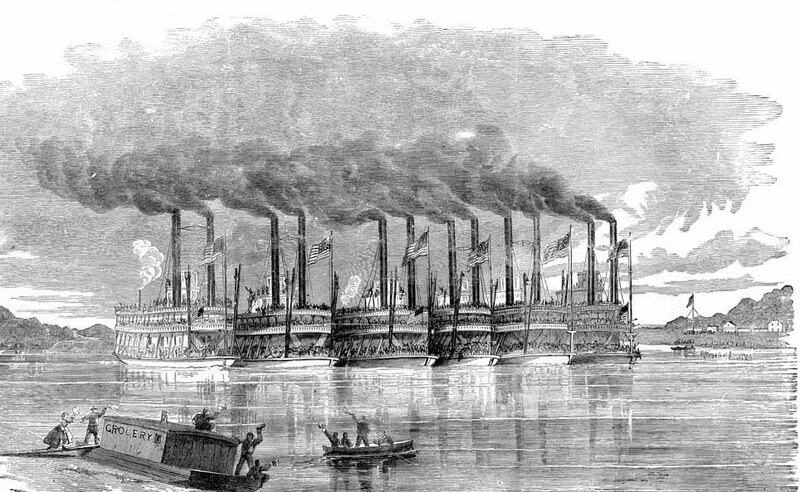 On October 20, 1861, Gen. Negley's Brigade continued on its journey down the Ohio River toward Louisville, Kentucky. Soldier-correspondents E. H. Witmer and F. J. Bender documented that portion of a journey whose sights left a deep impression upon the six steamboats' passengers for readers of the Daily Evening Express and Church Advocate, respectively. Their letters give a sense that they had finally left home and were in the process of determining who they were going to be as soldiers. A false alarm, although rather unrealistic in retrospective, gave the men of the 77th and 79th Pennsylvania at least the chance to think about combat. Also, since October 20 was a Sunday--the first Sunday for which attending church was not a possibility--both Witmer and Bender naturally turned to the soldiers' religious world and what faith would look like privately and publicly in the army.